For 25 years, Gary Stearman, the founder of Prophecy Watchers, worked beside Dr. J.R. Church at Prophecy in the News. He was a loyal and trusted friend to J. R., who passed away in 2011. Gary Stearman promised J.R., before he passed away, to continue his ministry and work with his wife, Linda Church. But what happened? Gary was always a dear and trusted friend to J.R. and Linda Church. Gary walked in the office on August 11, 2014, and handed Linda Church his letter of resignation, to Linda’s shocking surprise. He refused to come back even do a program to say, “goodbye” to those who watched and loved him for so many years. Here is the story. The truth, in the words of Linda Church. A story that she should have told you, the day he left. What I am about to tell you is something that I should have told you the day Gary Stearman walked out on Prophecy in the News. It is the full true story of the departure of Gary Stearman and Bob Ulrich from the ministry of PITN. Since their departure, we have struggled in our ministry. Many people have turned against us because of lies that have been told about us. Our ministry has been done wrong, as well as myself, my family, and my dear late husband. I tell you this with a heavy heart, but after much prayer, I can no longer keep quiet. I have seen so much dishonesty behind the scenes of the prophecy, religious world and it needs to be brought forward to the Christian community. You who have loved our ministry, prayed for us, and given us your financial support for so many years and you deserve to know the truth of what happened. I am not telling you this to hurt anyone, but the truth needs to be told because so many are being deceived. My late husband and I have seen this type of behavior go on throughout our lives, and I feel it needs to stop and the truth needs to come forward. As you know, Gary Stearman worked with my husband, J.R. Church, at Prophecy in the News for 25 years. Bob Ulrich and his wife Krissie, worked for PITN for 20 years. J.R. passed away in 2011 and before he died, while he was very sick, he called Gary and told him that he wanted him to continue our ministry and Gary said he would. He and Bob made a taping in our studio with me talking about J.R.’s passing and how they would continue the ministry at Prophecy in the News, and they did until August of 2014. I was at work on August 11, 2014, when Gary Stearman walked into the office at PITN and handed me a letter of resignation, without notice. I was shocked, to say the least. He said he just wanted to go in a “different direction.” After he left, we called him and ask him to come and do a show and say “Goodbye” to all of the people that had loved him for so long, but he refused to do that for us. We publicly wished him a farewell and wished him the best in the direction he wanted to take. Several days later, Bob Ulrich and his wife, up and quit. A couple of weeks after that, our TV technician/video editor, Tyler Wood, walked in and quit. I was suspicious that something was going on, but I tried to continue my daily work as it seemed that my life was falling apart around me. A couple of months later, my daughter, Terri McInnis, called me at 7:00 am in the morning and told me that she had received an email from Daniel Wright, our magazine designer. He had been hired by J.R. and he informed us that he was also resigning. I was already anticipating this, so I have talked to Rick Boyd to hire him if Daniel left us. In the email, he told us to not even try to ask him to come back. We didn’t and we thanked him for his service and told him to send all of his files to Rick Boyd. He did, and the transition went smoothly. I was devastated, to say the least when these four people, who I trusted with all my heart, had just walked out on me, all within a short period of time, but I continued to do what I felt the Lord had called me to do for over 30 plus years. That was to preach the Gospel of the Salvation of Jesus Christ and tell others about the end-times we now live in through Bible prophecy. But, after all of that went down, it became very clear to me they were working together and that Bob Ulrich and Gary Stearman had a plan to destroy the ministry of Prophecy in the News. So, I started investigating as to why this happened. Sadly, I found out that Bob Ulrich and Gary Stearman wanted one thing and one thing only, the keys and checkbook to my ministry. A life’s work that my husband, J.R and myself, had put years into serving the Lord at that time. To top off my stress before they all left, Prophecy in the News and myself personally were going through an IRS audit at the time. Not unusual for a business our size. We had been audited twice before. It is a routine thing for a large ministry or business and during the Obama administration, I believed that non-profit ministries were a target of IRS audits. They audited Prophecy in the News and me personally, for the past 3 years. It took several months for the audit. During this time, Bob Ulrich, whom I had always considered a dear and trusted friend, to myself and our ministry, became noticeably uncomfortable with the IRS constantly at our office. I tried to assure him not to worry because we had nothing to hide; we had done nothing wrong. I have always been honest in dealings with the IRS and my handling of the funds at Prophecy in the News. I was not worried, just annoyed that myself and my ministry were even in question. I knew Bob and Krissie Ulrich had personal problems with the IRS in the past because I had received letters in the past from the IRS telling me of their past personal taxes due and informing me that I was required to garnish their wages to take care of the past due taxes. I am not the kind of person to judge anyone, so I didn’t think anything about it. I simply turned the letters over to Bob and told him to take care of it, and he always did. I was not one to pry into an employee’s personal life. I later realized and I believed at that time, that this was why Bob suddenly decided to leave. At least I thought it was. After J.R. passed away, I was a widow with one less income, so I took a housing allowance from the ministry to help me out, nothing large. I was my sole supporter now. My CPA told me it was just fine. The IRS changed their rules and said it was no longer allowed and told me I had to pay it back at the end of the audit. Honest mistake on my part and that of my CPA. I did nothing intentionally wrong and corrected my mistake and paid my tax bill in full. To my dismay, when Bob Ulrich left our ministry, he started spreading rumors to all our prophecy speaker friends and other “Friends in Christ” that I was “misappropriating funds.” This was told to me by some of them. That was a flat out lie. My son is a board member, and my daughter, an employee and board member of PITN. They have worked closely with our ministry in various ways over the years. My son takes care of all the tech maintenance along with some of my printing and designing needs and my daughter is now full-time communications director, along with many other numerous jobs in the past. We are a family business and have always been that way. They were both paid a very modest salary for their work. My son, who now has his own business, no longer takes a salary. Our CPA had reported J.R.’s salary and my salary together by mistake, and reported it on a required report and mistakenly put it under my son’s name, which is the same as my husbands. Bob went online and looked it up and told everyone that we were paying our kids a huge salary, which was an absolute lie. I now know that it was intended to make me look bad, to make me look like a crook. I contacted our CPA and he apologized and corrected the mistake right away. Remember, it was my salary and my husband’s salary combined. Folks, I am sick of the lies and tired of being falsy accused of things that are not true. That is why I am writing this to tell you the truth and clear the good name of me and my husband and our ministry at Prophecy in the News. Bob Ulrich didn’t like the idea that I had my kids working for me, yet I employed his own son, Brad Ulrich. I understand now that the presence of my two kids as board members at PITN was keeping Bob and Gary from obtaining what they wanted, my ministry. After they left, I had some on my supporters tell me that I should have left and given the ministry to them. A few sent me ugly emails and said it was time I retire and I should have given away my life’s work. I wasn’t going to walk away, just because my husband passed away. I was expecting that they would help me continue to do the Lord’s work through our ministry. But they were hoping it would suddenly fall apart. Prophecy in the News and myself ended the IRS audit with flying colors. The IRS had me correct that one mistake and gave me and Prophecy in the News a “CLEAN BILL OF HEALTH.” The IRS auditor gave me his personal business card and said I was welcome to call him if I ever had any questions. I knew before Bob Ulrich worked for us, that he and his wife had a business with his father and two other business partners (David and Mark Fraser) when he lived in New Jersey and Colorado Springs. When the business folded, he wrote a letter to J.R. Church asking for employment at Prophecy in the News. J.R. was always a very trusting man, but we now know the biggest mistake we ever made was not investigating his past life. J.R. Church would have never given him employment at Prophecy in the News if we had known what I discovered after he left. Bob and his wife, Krissie Ulrich, had a large real estate business along with David and Mark Fraser in New Jersey and then in Colorado. He openly talked about being a millionaire on stage at one of his Prophecy Watchers Conferences. What he didn’t tell people is that they went bankrupt. Many folks have to do it all the time to help themselves out. BUT, after he left, in my personal investigation of Bob Ulrich, what I discovered in the public records was not only shocking, but mind-blowing. In his bankruptcy, over 280 people lost over 11.5 million dollars in his dealings. It appears that they borrowed from “Peter to pay Paul,” and one day, it all fell apart. Bob is a great salesman and has the knack for making people believe everything he says. During the investigation we did, we spoke to some of the folks that lost money in their real estate business. It was heart-breaking to hear their stories. Some told us they lost every bit of savings they had, and others told us they couldn’t afford to send their kids to college. These people were hoping to get rich from their dealings with Bob, as they trusted Bob’s business to prosper. We learned that they kicked him out of the church, where they had been a part of, and done many of their dealings for years with many in their congregation. It was truly a tragic story, as Bob and Krissie lived the high life in Colorado Springs, CO. Remember, this was all before he was employed by Prophecy in the News. Since they left, Bob Ulrich has done everything in his power to try and discredit our good name at Prophecy in the News and he still does. Bob Ulrich purchased the domain name, “Prophecy Watchers. com,” on July 31, 2013, while he was still working for Prophecy in the News, over a year before he left. He tells people that he bought it for his dear friend, L.A. Marzulli to use, but from what I know now, I personally believe that it was not the truth. After Bob and his wife left, his wife, Krissie, told us in a text to my daughter, that they had been planning to leave and start their own ministry a year before they left. They kept it secret from me, all the while planning it. How deceptive can one be? They continue to smear our good name, every chance they get. They undercut the price of almost every product we have in our bookstore, that they also carry in their bookstore. Anything to be cheaper than us to take away our business. This hurt us greatly. Not exactly a very Christian way to be. After they all left, we discovered our website was being watched by them as they had access to everything. We have proof of all of it from the log records of our servers. 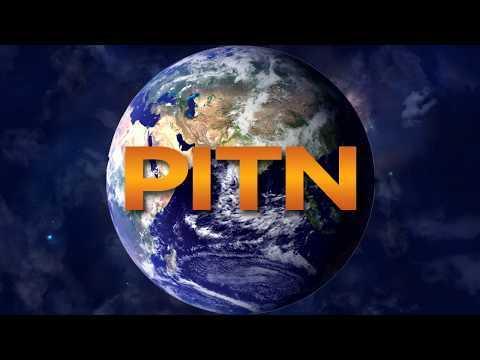 You have to understand, Bob Ulrich’s son, Brad Ulrich was the designer and monthly paid administrator of our PITN website while they worked for us. We have recently learned that a “computer” dump, meaning all of the records of our supporters, were downloaded onto a hard drive several months before they left, without my permission. That matter is presently under investigation. Brad had access to the back of our website; passwords, codes, all which included the names and address of our customers who had made purchases in our bookstore. We have proof of IP addresses from our website host after they left, that they had been hacking into the back of our website for a long time. Sadly, it took us over a year to discover this. After discovering this, we were forced to totally take down the old website and build the website we have today. When they could not take us over, shut us down, or make us fold, they walked out on us, almost all at once. I didn’t believe that God wanted me to quit and close Prophecy in the News. You ask why we don’t associate with Prophecy Watchers, now you know the whole truth. What I have told you is the honest truth about the departing of Gary Stearman, Bob Ulrich, Krissie Ulrich, Brad Ulrich, Tyler Wood, and Daniel Wright. I loved these people as dear friends once, but when the greed of money and fame become more important, people change. In my opinion, what they did to Prophecy in the News and the way they did it, was wrong in every way! When they left I was afraid to tell the truth, for fear that people would hate me and blame me for firing them, and that is exactly what happened. I publicly blessed them and their new ministry. I did what I thought was the Christian way, but how foolish I was! They have continued to this day to cause me grief in more ways than one. I was mocked, hated, blamed and ridiculed for firing Gary Stearman, and I was afraid to tell the truth. My lawyer had advised me against it. He said they would come back with a vengeance and sue me for slander, so I was afraid and kept quiet. We asked Dr. Kevin Clarkson, pastor of a large church in Moore, OK., to come and be our host. He graciously accepted and came and helped us out. We love Dr. Clarkson for being there for us for 4 years. He is a great man of God, but he had a full-time job with his church, and never expected to be with us for 4 years. We appreciate everything he did for us. He and his wife and their family are wonderful Christian people. After he stepped down, we brought in Lyn Leahz. We loved her and she was gracious enough to fly down from her home in Ohio at her expense to help us out. I could only afford to pay her where she was in our studio working and planned to put her on full salary when she was able to move to Oklahoma City, which we thought would be very soon. We were grateful for this and welcomed her with open arms. Linda Kay said to her, what are we going to do for a host without you and her reply was, “That’s not my problem.” Just a week later, she quickly jumped on a plane back to Oklahoma City and attended the Prophecy Watchers conference with her mother. It certainly appears it was to get back at us for not giving her everything she wanted. “Happy Sunday” email from Keith D. Hardin, Lyn’s dad. As you will see in the following email from Lyn’s dad, he called my daughter a “big liar” and accused us of firing Christina (Lyn Leahz). We have told them over and over that, we did not fire Lyn, and I DID NOT FIRE HER! I didn’t even know that she was leaving Prophecy in the News until Linda Kay came back to the office after taking her to the airport and told me that Lyn had quit. In the email, her dad, Keith, called us cheap, dishonest, liars, and thieves. Keith went on to say that as his wife, Jerri Hardin, had said before in a text to me on my phone at an earlier time, that there was a special place in hell for people like my daughter and myself. Read the email from Keith Hardin below. It upsets me so much to see people claim the name of God as their “blessed hope,” when I know personally what evil ways lie within their hearts. It is a sad story. I am only glad that my husband was not here to endure the heartache I have gone through. I am sick and tired of my dear daughter getting nasty ugly emails from “friends and supporters of Prophecy Watchers” calling us the most vile and nasty things you can imagine. She has always proved them wrong. One guy who was Bob Ulrich’s good friend, finally gave up when she exposed his lies and said he was sorry he ever got involved. She keeps records of everything she has had to endure over the last 4+ years. She shouldn’t have to go through this. These people are supposed to be Christians! You know, I have endured this for over 4+ years now. I have struggled with knowing what I know and seeing people being deceived. My daughter and I both pray for them and ask God to forgive them for what they have done and continue to do. Believe me, in my prayer I searched the scriptures for help in what to do to stop this madness I have endured for so long. I have done the very best to keep our ministry going. I have spent every penny of my savings and the small life insurance that I received upon my husbands passing, back into our ministry. I have now told you the whole honest truth. Now it is up to you. Do you want our ministry of over 39 years to go on? If you do, I need your financial support. Our number one goal has always been to tell others about Jesus. 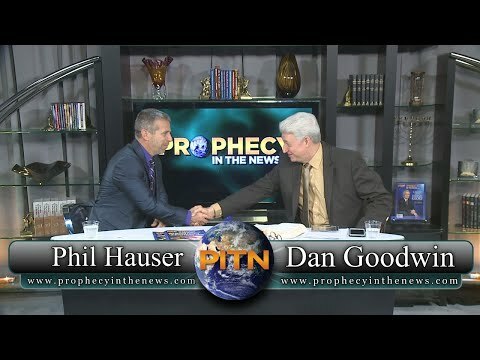 Will you help me continue our work at Prophecy in the News? I pray you will and may God always bless you in your daily lives.